Posted on 14th December 2015 by Jenii Lowe. If you’ve dipped your toes into the waters of content marketing, chances are you have heard the term “evergreen content.” But what is it? And why is it so important? The history of a given topic relating to your industry, or interesting facts and statistics about the field. Until we invent time travel, history and facts won’t change, making this a safe bet for evergreen content. “How-to’s” and guides about a related aspect of your industry or product, whether that’s at a beginner, intermediate or expert level. One important point to add here: If you are going down the “how-to” route and are writing about a technology or science-based topic, be aware of obsolescence and new developments, and be prepared to update the article later down the line if things change. For example, I recently wrote an article on referral spam. That article may be relevant now, but new ways to perform referral spam and ways to fight these new methods are likely to come out of the woodwork over the next few years, so I’ll update it as things develop. If new developments on the topic come to light, update your content. It’ll also give you an excuse to share it anew on social media, but we’ll talk about that later. 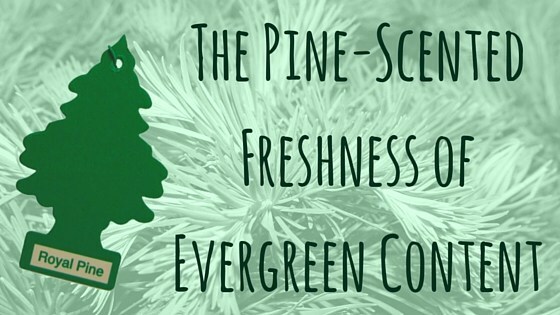 Evergreen content is important because it has the widest range of any content you can produce. This very article is an example of evergreen content. It’s a topic that people look for all year round, and the reliance on content marketing doesn’t seem to be going away any time soon, so this article will most likely grab more visits than if I wrote about “How to market your small business over Christmas,” which would only be relevant during the run up to the holidays. Any references to or reliance on the current time of year needs to be totally eradicated if you want your content to be shared throughout the year. If your content is reliant on it being Christmas for example, your content will then be locked into only being relevant once a year. Similarly, unless your blog/channel is strongly dependent on news and opinion pieces, avoid references to current affairs or news stories. As soon as those news stories are off the front page, your post will be too. Unless you have a site where opinions are openly encouraged and discussed, avoid personal views wherever possible; especially when it’s about politics or social issues. People can be understandably quite precious about their own opinions when it comes to these sorts of things, so you might end up with a few arguments on your hands, and no evergreen value to show for it! Save putting the world to rights to when you are with your offline friends. You need to make it easy for people to share your content. Make sure you include some kind of social media sharing functionality in every piece of content that you produce. If possible, make sure that the code behind each sharing option automatically includes the title of the piece and includes your appropriate social media username (to “tag” you) if possible. It’s easy to say “once your content is complete, share it on social media.” However, truly evergreen content provides maximum value for the maximum amount of time. So for maximum impact, you need to keep sharing it on social media over time! How frequently you share the same piece depends on you, but there are a few factors that you may want to bear in mind. How frequently are others in your industry resharing older content? Is there a particular group or hashtag where you think your content would be useful? Are you involved in any Twitter networking hashtags who would like to hear your thoughts on the subject? You may also want to bear in mind the times of day that you post – but that’s a whole other can of worms to open! Fast Company offer this handy infographic for your delectation. You may find that social scheduling tools such as Hootsuite or Buffer are useful to schedule posts in advance. You may find that it helps to track the last time you shared each post in a simple spreadsheet. You may find you spend far more time promoting the content than you did actually creating the content, this is fine. Derek Halpern at Social Triggers swears by a thing called the 80/20 rule, where 20% of the time is spent creating, and a relative 80% of time is spent promoting that same content. If that makes you feel a bit spammy and icky, remember that online audiences change over time. This is especially true of social media, which can be incredibly fast paced. Chances are that though you may have posted a particular piece of content to social media multiple times, there will still be a large chunk of your audience who still haven’t seen it before. Maybe they don’t frequent social media at the times when you’ve shared it previously; perhaps they follow a particular keyword or hashtag that you haven’t used before. Hopefully your audience will have grown a bit between posting, so you owe it to your new followers to share your older content with them. Remember that if your article is about something that is always developing, by all means update it, regardless of how old the piece of content is. I mentioned the two main offenders being science and technology, but these are not the only culprits – so keep your ear to the ground. Remember to reshare your content to social media once you have updated it – a freshen-up gives you a great excuse to promote it again. Also remember to ensure that your older content can be shared as easily as your newer stuff, so depending on your platform you could update your sharing buttons and options at the same time. 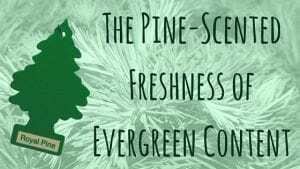 So should all of your content be evergreen? That’s really up to you, your industry and your ways of working. Time-bound content can be useful when an industry is reacting to a sudden change or announcement, and shows people that you keep your finger on the pulse of relevant industry matters. Don’t necessarily rule a topic out because it’ll be less relevant in a few months’ time. However, if everything is going as normal with nothing out of the ordinary for you or your prospects on the horizon, by all means prepare an evergreen piece. 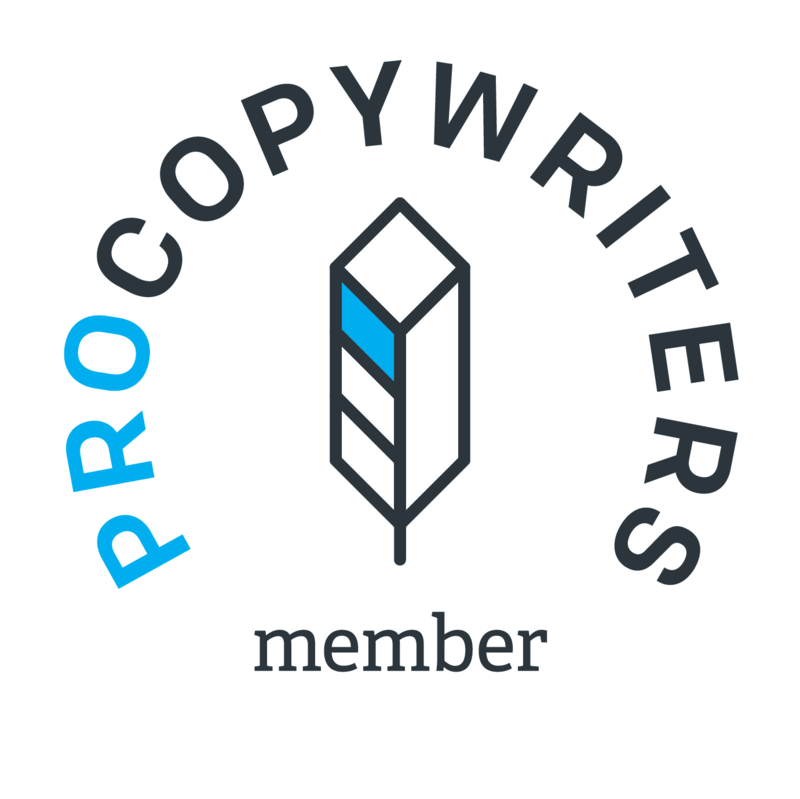 If you’re after someone to write blog posts on a regular basis, you’re in luck, that’s my job. Drop me a line for a free quote. Sorted for blog posts? I also provide all of the services listed here.